Every two years the IABC hold their European conference. Alba Perez Grandi reports from the historic heart of Europe on the latest hot topics. Bubbling reception drinks at the majestic Hotel de Ville in Brussels Grand Place opened the 2013 EuroComm conference where 130 top international communication leaders gathered in the heart of the capital of Europe to learn, listen and network. The three-day conference explored the critical theme of “Disruptive Communications in Disruptive Times”. Organised by the International Association of Business Communicators (IABC) at the prestigious Solvay Brussels School, the event featured speakers from European Institutions, global consultancies, academia, and multinationals. Many spoke in the context of a Europe still in the midst of economic turmoil and socio-political instability, particularly marked by recent events such as the Cyprus bailout and the failure of the Italian elections. With this background, everyone at EuroComm seemed to agree: communicators need to be on a journey of constant change to adapt to the IC future. On Day One, Robert Madelin, Director General of the European Commission‘s DG Connect, set the scene by presenting his vision on how to brand a European future in an open, cooperative dynamic EU economic society. Speaking from his long experience as a civil servant, Madelin described the times we are currently living in as disruptive. He believes that communicators as well as political leaders need to become co-creators of change. He believes in a European digital future represented by young advisors that respond to stakeholders’ needs. Also he pleads for a safer and better internet for kids. One of his key points is that communicators need to be as good at listening as they are at broadcasting their messages. He also advocated using a mix of social media channels and move from press releases to for instance twitter releases. “Where we are going is ambiguous and uncertain but if we're together we can make it work. With new technology we can all be creative; co-creation is the best future for Europe. “CEOs and public administrators need to become disrupters themselves to help rebrand their organisation’s image and break down the silos”. 1. Align on common goals and the value you provide. 2. Organise around the processes we do for our work and our products. 3. Empower employees to innovate on how they provide value in the job they already have; if they can adapt they would find better ways to provide values. Using ESN networking tools like Yammer is a good solution. 4. Adapt to constant change. On the last day of the event, Ambassador Andebrhan Giorgis and simplygoodadvice’s Silvia Cambié, social media strategist, expressed a similar view on how the use of social media in conflicts can help people and organisations communicate their message to the outside world. The Ambassador was a freedom fighter in Eritrea and Cambié helped the women bloggers in Egypt and Tunisia. A lesson learnt from both this and Schillinger’s sessions: use the power of social media to disrupt and create change. Delegates were asked after the event to summarise their experience of EuroComm in 62 words or a sestude, a concise form of writing that is gaining popularity in many settings. "If you always do what you've always done, you'll always get what you've always got. But we are living in ‘liquid times’. The rulebook no longer applies. Experiment! Be bold! Act first, apologise later if needs be. The risks: innovators become dinosaurs; agents of change become agents of control. Relinquish control of content production and seek collaboration for genuine and emotional engagement,” said delegate Eleanor Hammond. 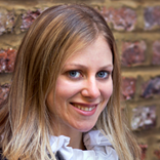 Alba Perez Grandi is a junior consultant at simplygoodadvice. They advise the world’s largest companies on strategy but how do McKinsey use internal communications to support and engage their own consultants? Lee Bryant interview: the importance of socialising knowledge. Findings from a new report by People Lab reveals how organisations are approaching employee engagement. #simplypoll: The end of Yammer? Our smileguide on The Changing Role of Internal Communication is now available as a free download. Author Gloria Lombardi gives an overview.